Lovely Allier house in a small hamlet of three properties in the heart of the countryside, and a Barn with planning permission for two dwellings. 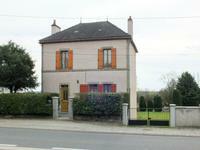 Renovated in 2005 this house is in excellent condition and does not require any work. It is . . .